FORTALEZA, Brazil — Bom Jardim, home to some 200,000 people, is one of the poorest and most violent neighborhoods in this city. Located at the southwestern tip of the metropolis, with long streets laid in a grid, the signs of poverty appear everywhere: cracked cement or none at all, half-built houses and other makeshift architecture recently occupied by migrants from the countryside. 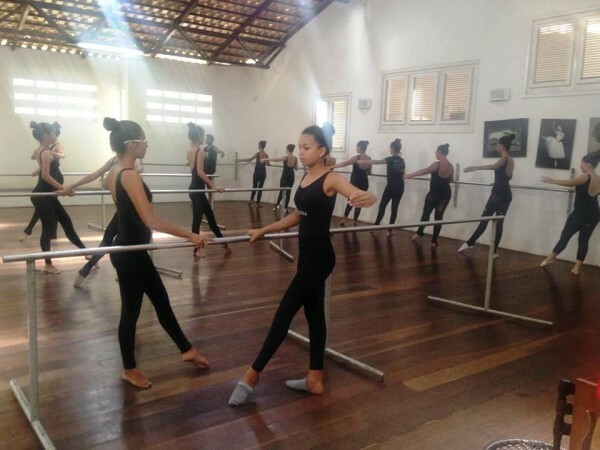 It is here that the Brazilian prima ballerina, Dora Andrade, has set up her School of Dance and Social Integration for Children and Adolescents (Edisca), which enables girls from the favelas, or slums, to not just get a formal education and learn dance but also to learn important social skills. Moreover, it provides the students a daily full meal and shows them how to care for and respect their bodies. Free of charge, the girls who enroll in Andrade’s school generally come from three of Fortaleza’s poorest localities, one of them a shantytown built on the edge of the city’s garbage dump. A majority of the girls cannot read or write and come from broken homes. Madeline Abreu, a psychologist at Edisca, understands the emotional burdens that the students are carrying and thinks the school gives them a shot at normalcy. Tatiane Gama, a 31-year-old Edisca graduate, said in an interview, “I learnt to eat vegetables here.” Gama’s life turned around the day she stepped into the school at age 8. She was one of the school’s first students and is now a professional dance instructor there. Gama has been teaching dance since she she was 18 and thinks it has saved her from a life of hard work with no returns. “I was fortunate to have been inducted into Edisca,” she said. “By then, the school management had realized that once children turn 16 or 17, their parents are keen on withdrawing them from school so that they can take up a job.” This led to the start of the Edisca Dance Company, which draws the most talented dancers at the school and tours worldwide. The dancers are paid a monthly stipend of around $50, Gama said. Some Edisca students move into academia or other professional careers. Jamila de Oliveira Lopez, 23, hopes to become a journalist soon. “I want to be able to express myself in words, too,” she said. Lopez was always at the top of her class even though she had to do her homework in her family’s kitchen because she shared a room with her two sisters in a house located in a rough neighborhood. Edisca currently has 400 students enrolled, and to keep it and the dance company going, it must do extensive fund-raising through performances and donations. Unesco, in addition, has created a partnership with the Repetto Foundation, built on the French ballet costume maker, to help finance Edisca.